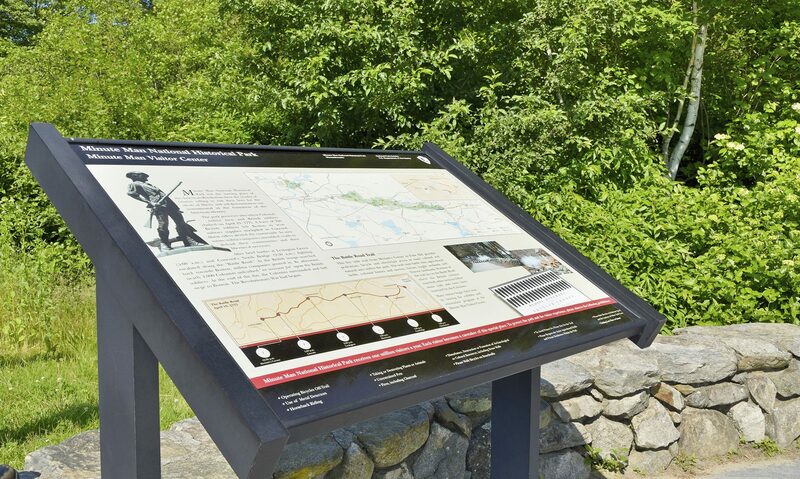 Working with the project architects and the National Park Service, CRJA-IBI Group was responsible for the design of a sustainable, universally accessible 5.5-mile multi-use trail through Minute Man National Historical Park. 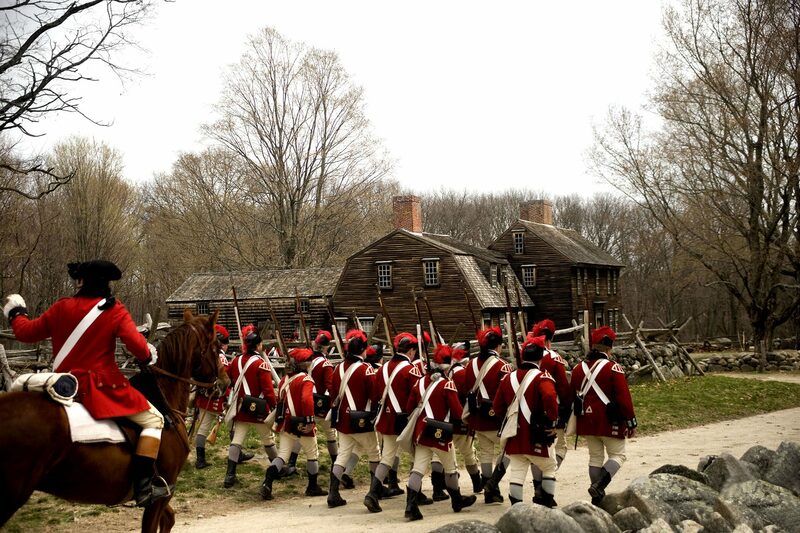 Before this project, the Minute Man National Historic Park was a drive-by experience. 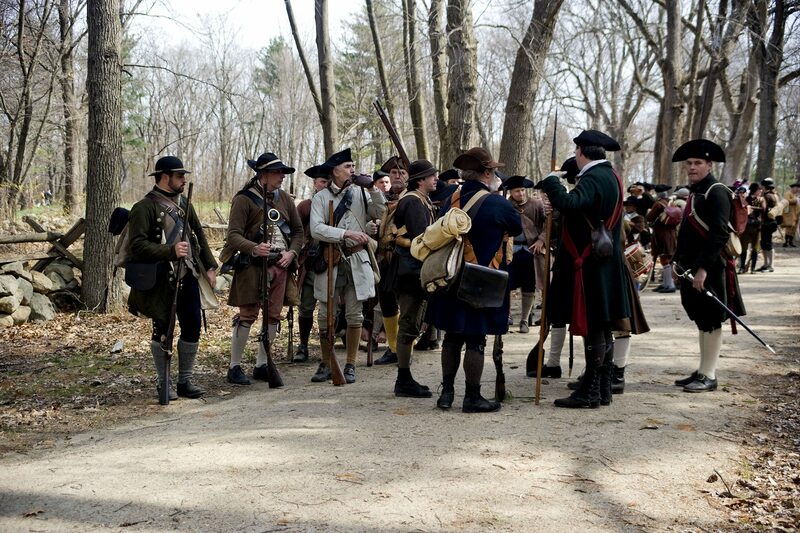 The park had over a million visitors a year who seldom left their cars, due to the extensive network of roads. The restored trail has completely changed visitor participation, favoring pedestrians and bicyclists. 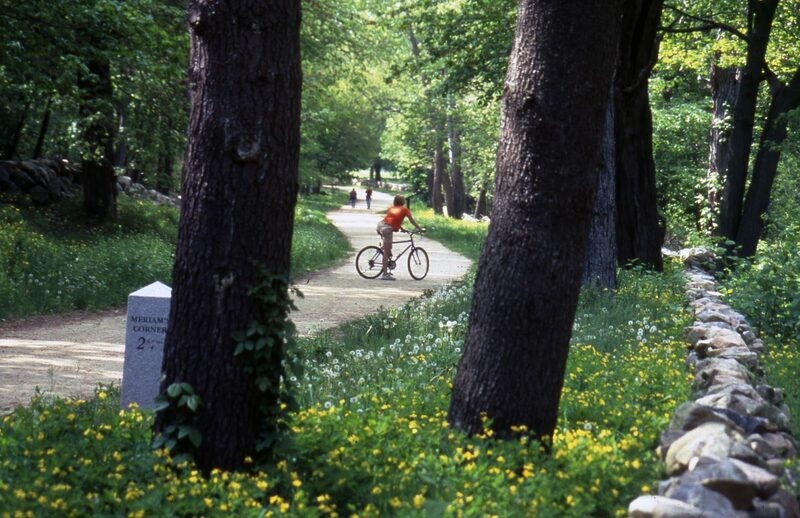 Today it is one of the most popular and successful bicycle trails in the country, and was inducted into the 2008 Rail-Trail Hall of Fame. 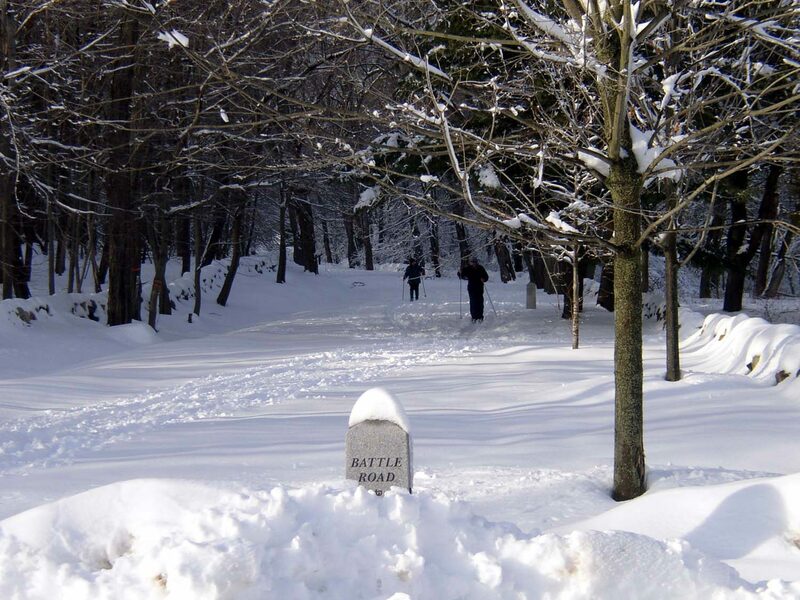 Along this 5.5 mile trail, which follows the battle route used by American militia and retreating British regulars on April 19, 1775, a cultural landscape unfolds providing a glimpse to the visitor of revolutionary life, punctuated by granite markers indicating battle locations, burial sites, and the long distance remaining. 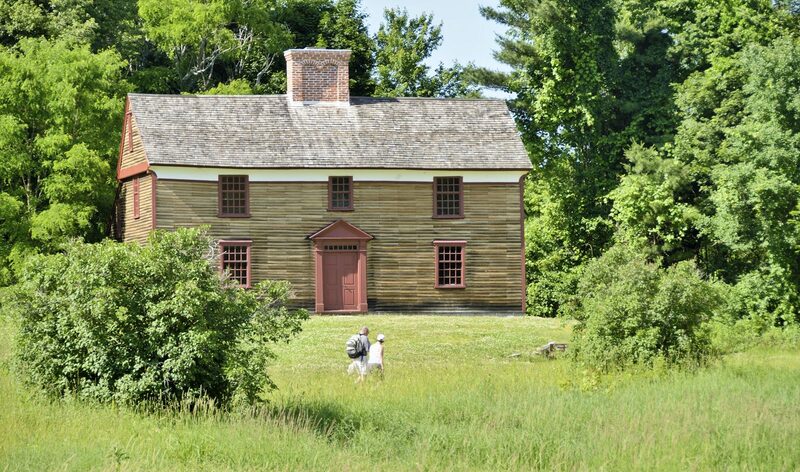 Vistas of historically accurate pastureland, apple orchards and meadows provide cultural context along the trail, while connecting seventeen historic sites. The new portions of the trail provide connections to parking areas, and create a series of loops, allowing visitors to access the trail at various points along its length and readily return, without having to walk the entire length of the trail and back. 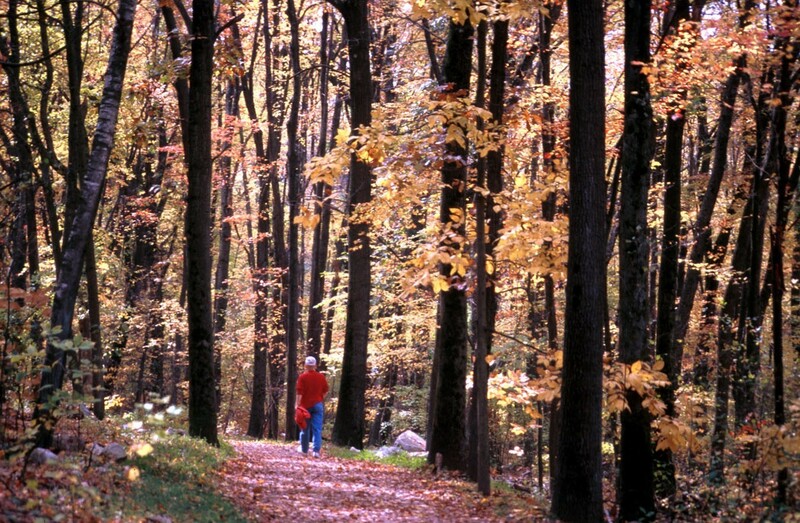 The system balances improved visitor access with the park’s natural and cultural features, providing a safe experience while minimizing impacts to the natural environment and interpretive sites. Some of the challenges faced by the design team included traversing seven wetlands under the jurisdiction of three towns and across a 110-foot grade change, providing safe crossings at intersections, and phasing the project implementation to account for land acquisition and ownership issues. Much of the original landscape had become completely obscured by forest and growth, pavement, and modern houses. 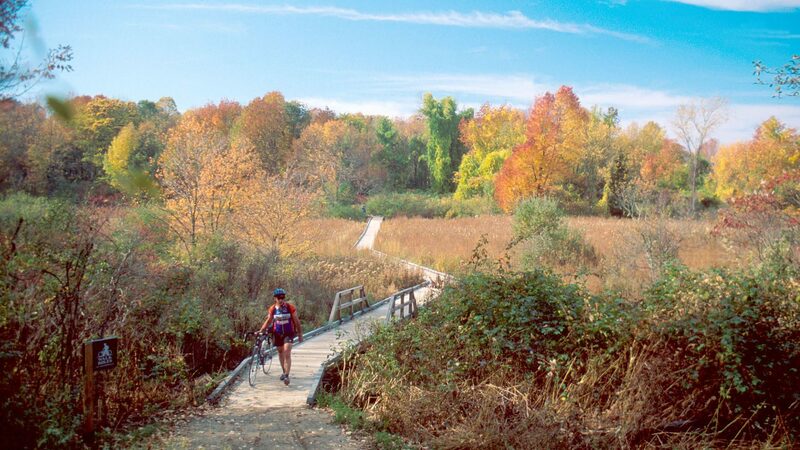 Wetlands were an important element of the Colonial landscape, but provided a challenge for a fully-accessible modern trail. 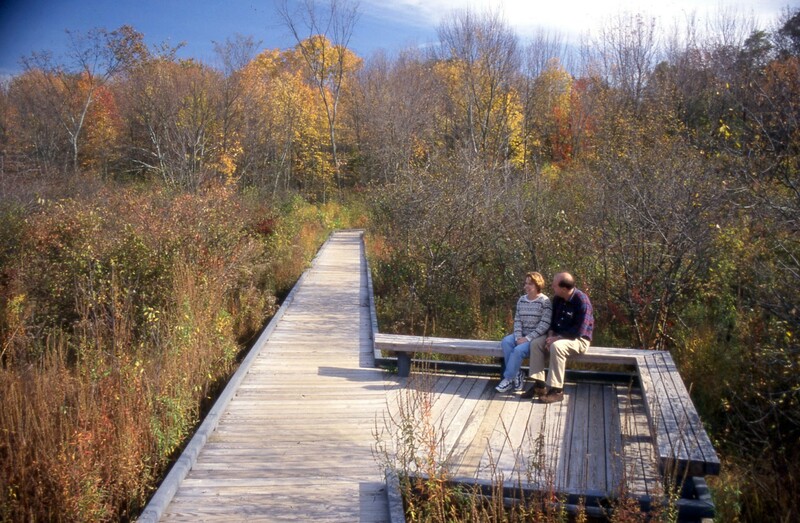 The solution was more than 900 feet of boardwalk crossing the wetlands, designed and constructed so as to minimize environmental impact. 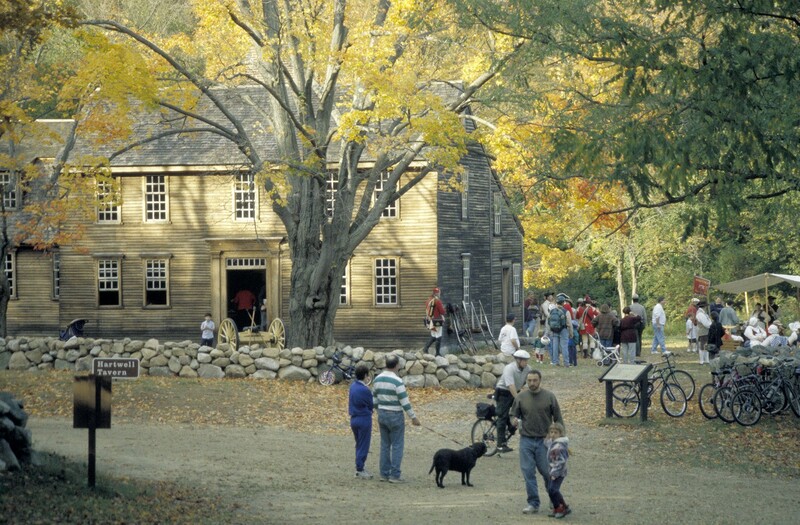 Modern materials were used in a way to emulate Yankee craftsmanship style.